With the growing popularity of spikeless golf shoes, adidas have got in on the action with their new TOUR360 franchise launch including their first ever sneaker-style model. And they rock. 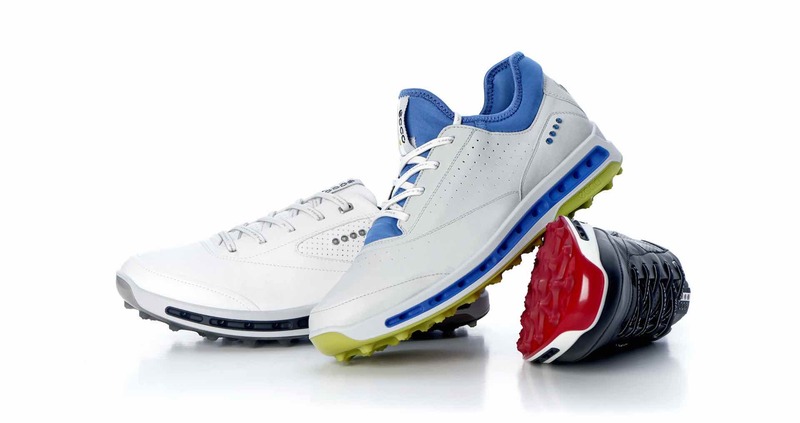 The new footwear earns its name due to the X-shaped traction system (X-Traxion) on the outsole, providing multi-directional grip throughout the swing. These X-shaped lugs provide more stability and can react with better traction through uneven lies due to their eight-sided touch points with the ground. The entire outsole features the X-Traxion lug system, strategically placed so players get the comfort of spikeless while still maintaining the grip they expect from a high-performance shoe. The X-shape lugs also vary in height, allowing for some lugs to go deeper into the ground, which adidas found to help increase overall traction. The shoe is also highlighted by the X-Torsion system through the midfoot to provide more stability and control throughout the swing. 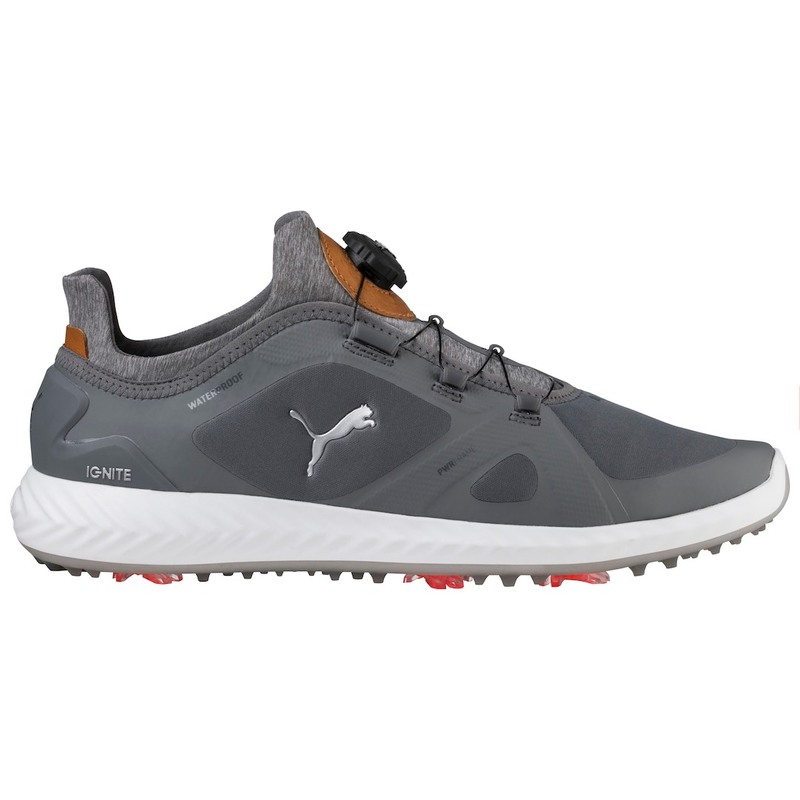 Every year at GP Towers we wait with bated breath for the new PUMA Ignite golf shoe. Not only because we’re excited to see what they look like, but also because we know we will be relying on them to get us through 72 consecutive holes of golf at the Longest Day Challenge at Princes GC. These look the absolute business and are as comfy as golf shoes get. Flag bearers of golf hybrid footwear, ECCO GOLF, have unveiled their latest innovation, ECCO BIOM® HYBRID 3 featuring the groundbreaking new TRI-FI-GRIPTM outsole. TRI-FI-GRIPTM ensures multi-purpose zonal performance through three segments; one for stability, another for durability and a third for rotational support.The zonal structure is a product of intensive research and data analysis in the ECCO GOLF Lab. Each is formed from ultra-durable T.PU, meaning the shoes can be worn on and off the course without affecting performance. Which is nice. 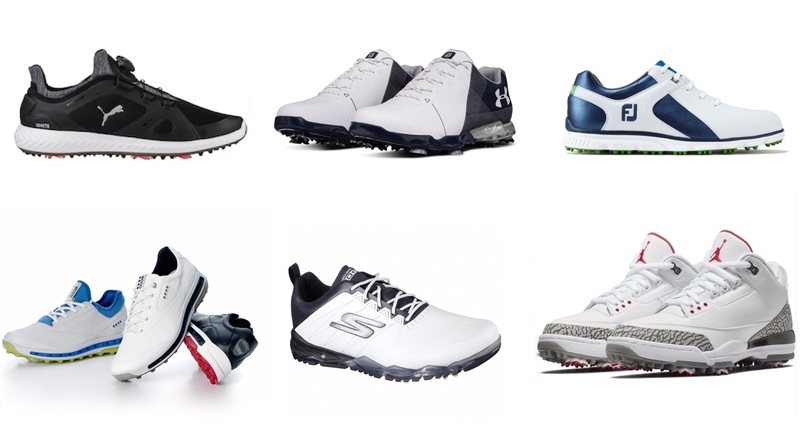 These look unlike any of the other golf shoes here, because, well they are. 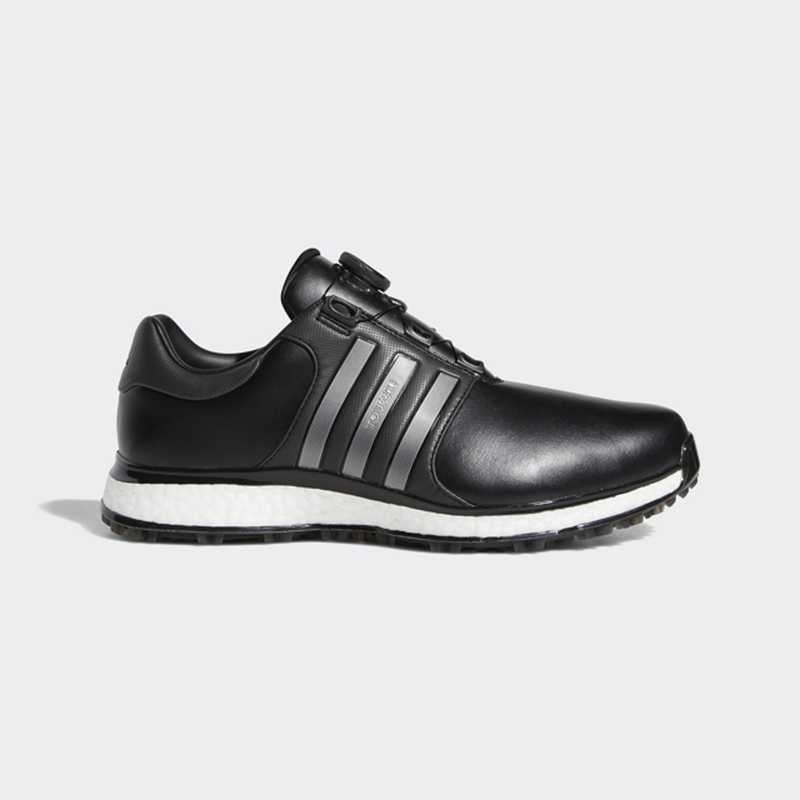 Designed to make 36 holes a stroll in the park, these are the ultimate shoes for walking. Why? Because they’re based on Mizuno’s top performing Wave running shoes. 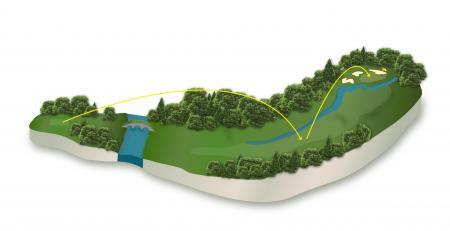 They blend the comfort of the Wave sole with the stability and traction of a golf shoe. 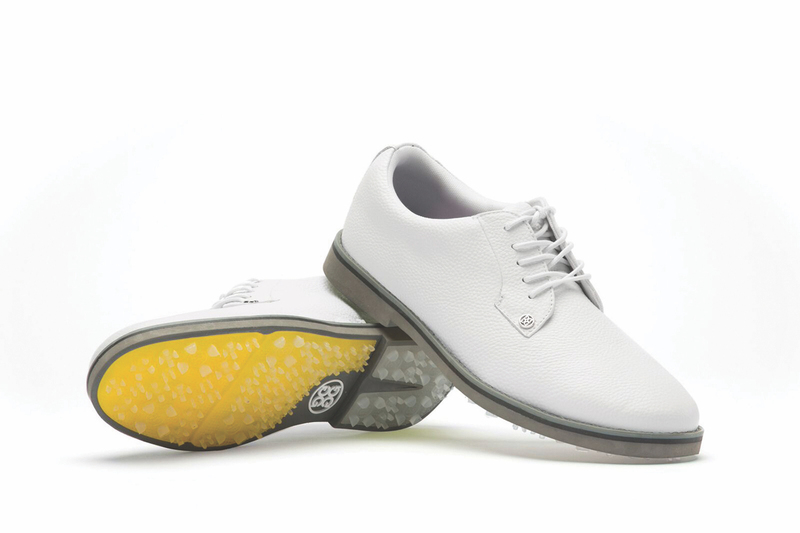 While they are water resistant for unexpected showers these are the ultimate lightweight warm weather golf shoe that will look great with a pair of shorts. We think these would be the perfect foil for any of you crazy Speed Golfers out there. These are fast turning into a classic in terms of style and comfort. The line perfectly blends trusted technologies such as the DISC closure system and IGNITE Foam, providing superior step-in comfort; an Epic Performance Last, for the perfect fit; premium materials for durability; and fresh, on-trend looks for making a statement on and off the course. 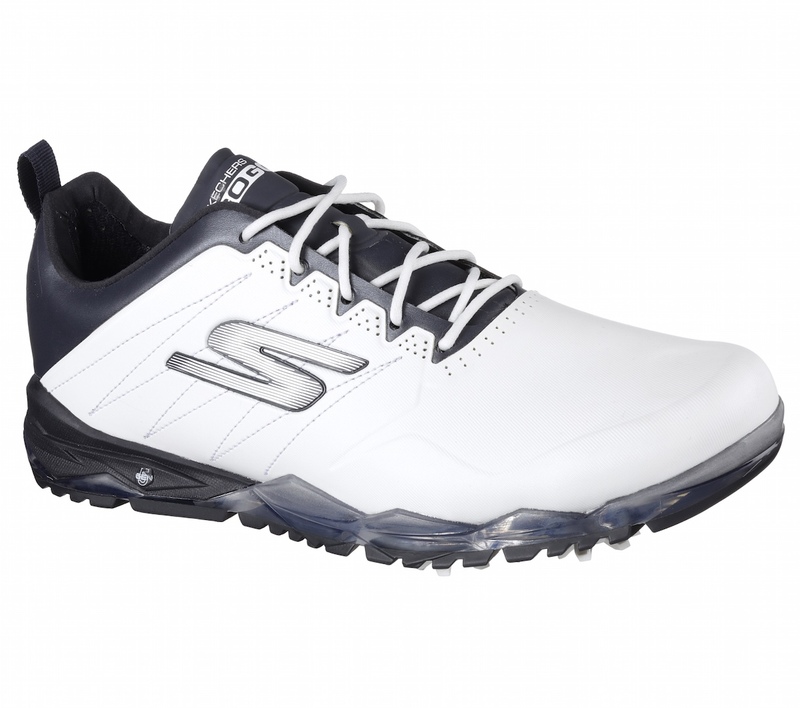 The GO GOLF Focus 2 see’s Skechers push the boundaries of stability and comfort even further in this 2nd generation shoe. As the official shoe of PGA Tour star Russell Knox, the Focus 2 targets players looking for maximum stability during the golf swing in a sleek and contemporary design. Maximum stability has been achieved through a sleek, low to the ground, full contact bottom and a dual TPU outsole that secures the foot strongly. Comfort comes in the form of responsive 5-GEN and a Resamax insole, combining with a microfiber synthetic upper allowing for improved comfort and support. The Focus 2 also showcases brand-new OutDry patented waterproof protection which creates a waterproof, breathable barrier. Inspired by the design of Darren Clarke’s original DCC Classic, the Classic Tour eVent Spikeless boasts a traditional wing-tip design and first-class craftsmanship using the finest materials. Beneath the full-grain leather uppers, the eVent membrane has one of the highest waterproof ratings in the industry. This keeps water out while its patented venting technology allows sweat to escape, keeping socks dry and helping prevent the blisters caused by excess moisture. Oleophobic materials prevent oils from clogging the membrane, so these performance benefits are long-lasting. Extreme comfort comes courtesy of a CMEVA midsole, a cushioned sock liner, and an anti-slip heel counter, while spikeless rubber outsoles with traction modules provide all the grip and traction you need. 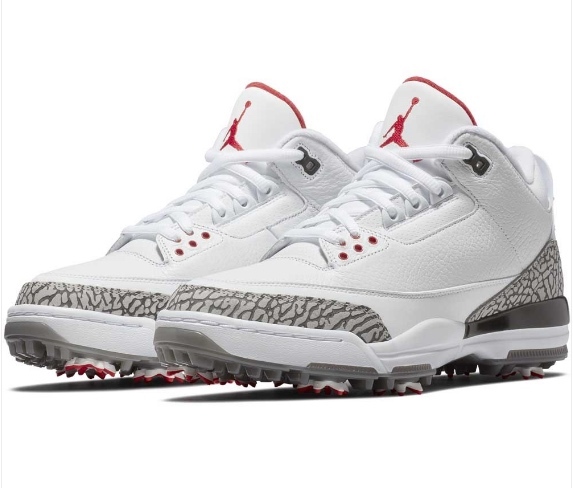 2018 sees the 30th-anniversary celebration of the Air Jordan III sneaker and, quite appropriately, it becomes the third iconic Air Jordan silhouette to become transformed for the golf course. This incredibly popular and absolute icon of the sneaker world has been on everyone's wishlist since the Air Jordan brand started re-creating their most signature styles into golf shoes. To convert this iconic sneaker into a golf shoe, Nike has added a full-length Lunarlon midsole for comfort and stability throughout the swing along with the same golf-specific outsole which has featured on previous Air Jordan golf shoe styles. 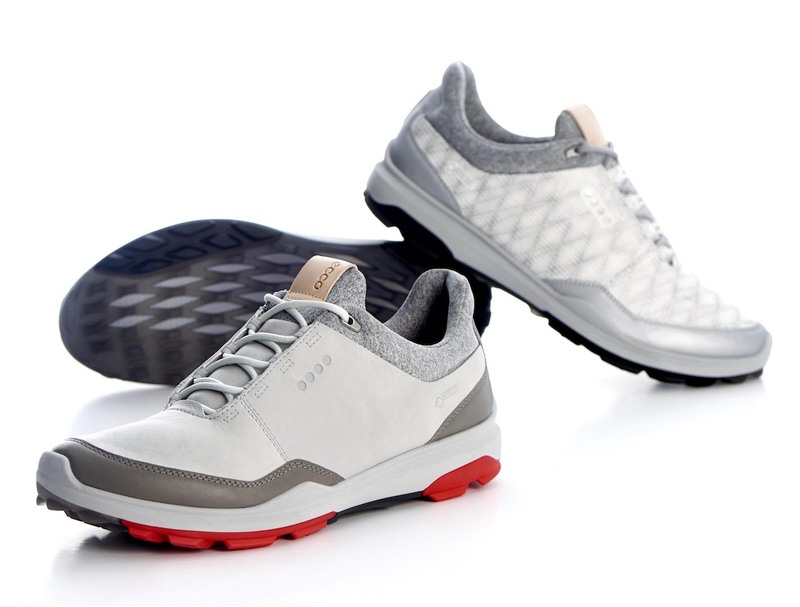 If it’s good enough for Freddy Couple and Lydia Ko... Danish golf footwear innovators, ECCO GOLF, unveil their latest creation, ECCO COOL PRO, which combines several of the company’s flagship technologies. The revolutionary SPYDR-GRIP® outsole utilises an organic structured design for outstanding grip. This combines with a GORE TEX® SURROUND® membrane upper which facilitates an advanced air channeling system within a grid-shaped sole structure, providing 360° breathability without compromising on waterproof protection. 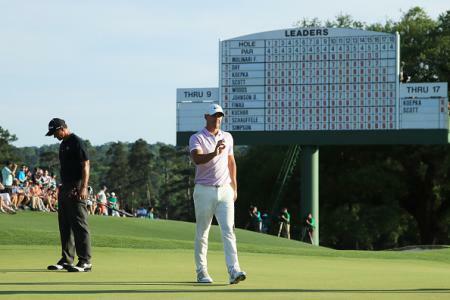 The Spieth 2 aims to reflect Jordan's maniacal focus and fierce intelligence. Not to mention courage to fight and infinite creativity. 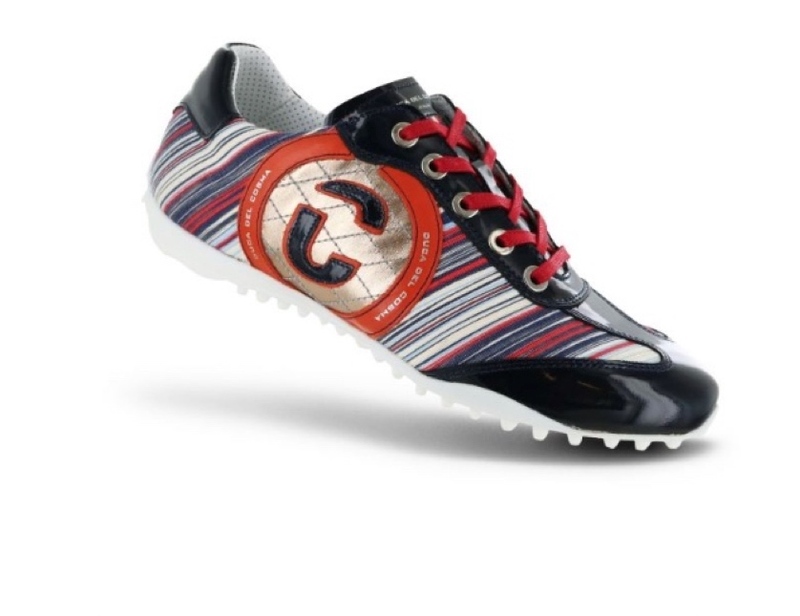 That's quite a statement for a golf shoe. A bold evolution of last year’s groundbreaking Spieth 1, the Spieth 2 was rigorously tested by Spieth himself and built to help him accomplish one main goal: to score. They didn't get to become the world's best-selling golf shoe brand by sitting around waiting for the competition to catch up with them. 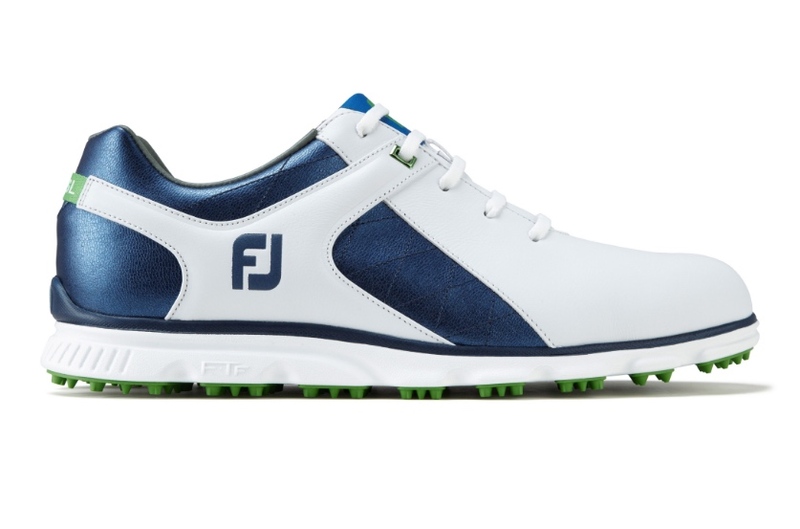 Every year FootJoy strive to innovate and beat last year's creations. The Pro/SL shoe has had an explosive year, becoming the most sold model in the UK by some considerable margin. As an example of the line’s popularity at retail, more than one in every ten shoes sold within the UK in 2017 was a Pro/SL helping to support yet another season in which FJ have achieved over 50% footwear market share. Plus these look nice. G/FORE have fused the most relevant street fashion shoe with golf, bringing you superior comfort with simple elegant style. 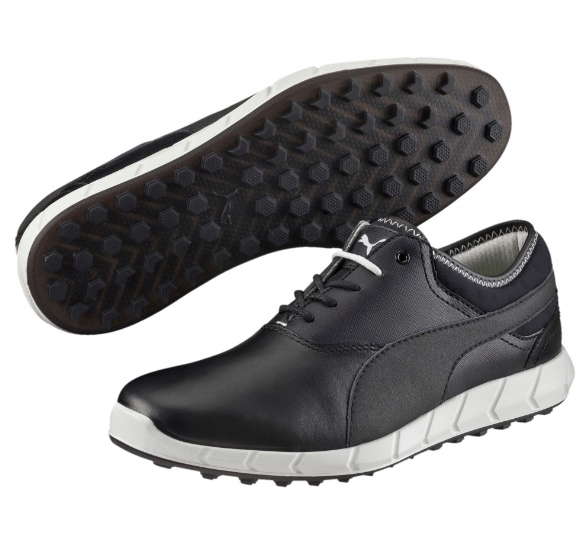 Designed with all the same premium outsole details optimising traction, flexibility and support, this fashion-forward shoe is constructed features waterproof pebble full-grain leather for a luxurious on and and off course look. RRP: £159. As stylish as it is comfortable, the G/FORE Gallivanter combines an athletic fit with premium waterproof leather in an array of contemporary colour ways Custom designed by G/FORE’s team of footwear experts, the Gallivanter boasts an ultra lightweight sole coupled with a bespoke cleat design for optimal on-course traction. This shoe also sports a new, washable and anti-microbial, triple density foam cushion Ortholite sock liner for superior comfort. This shoe is a stylish approach both on the course and off and is worn by PGA Tour players Bubba Watson and Phil Mickelson amongst others. RRP: £149.